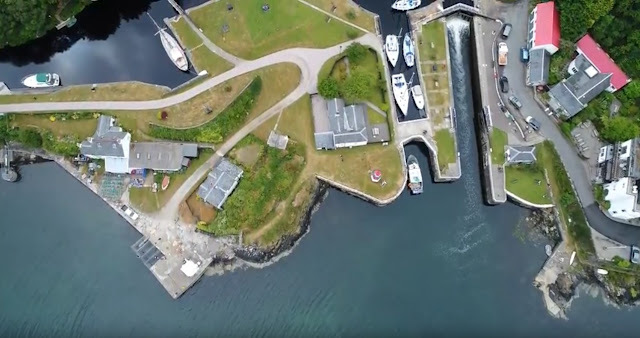 A recent visitor to Crinan and other places in Argyll has sent a link to a film he made while he was in the area. There are some interesting shots of Crinan in the first few minutes of the film and some really stunning filming of the Dorus Mor with a strong flood tide running towards the end. The Dorus Mor (The Great Door) is the very tidal passage between Craignish Point and the islands which you can see from the Hotel as you look towards the Gulf of Coryvreckan.